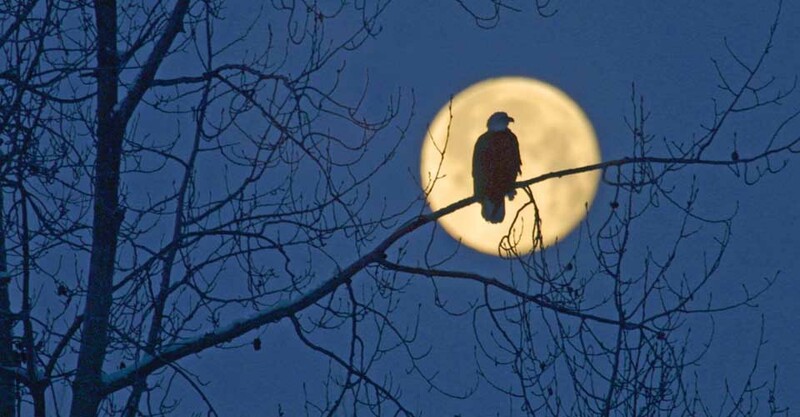 Where can you wake to the cry of a bald eagle, watch tons of ice crash from the face of a glacier, walk among old-growth spruce and cedars, and observe whales lunge-feeding, perhaps in a single day? It's all here in Southeast Alaska, a maze of icy fjords and forested islands rich in wildlife. 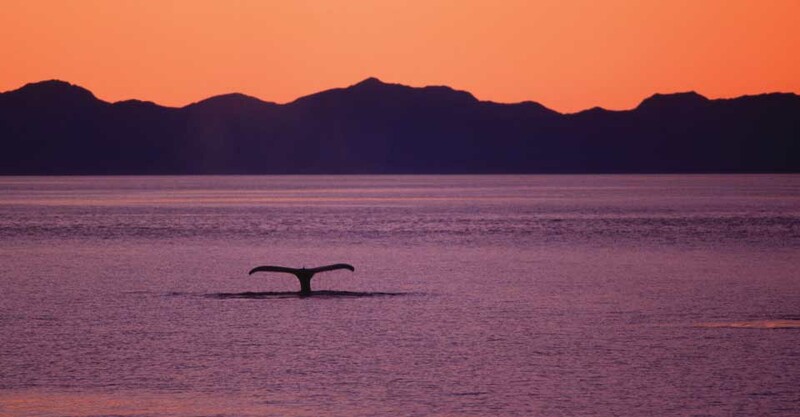 Our Alaska expedition is an epic journey through this vast marine wilderness, far from big cruise ship crowds. 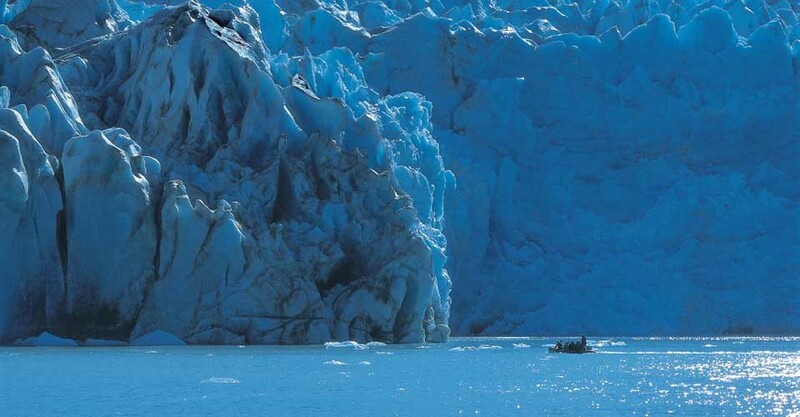 These voyages aboard compact National Geographic ships showcase the tranquil channels of the Inside Passage and the geologic time capsule that is Glacier Bay National Park. Join onboard naturalist experts to wander through temperate rain forest to cascading waterfalls, watch whales and seabirds, and identify wildflowers. 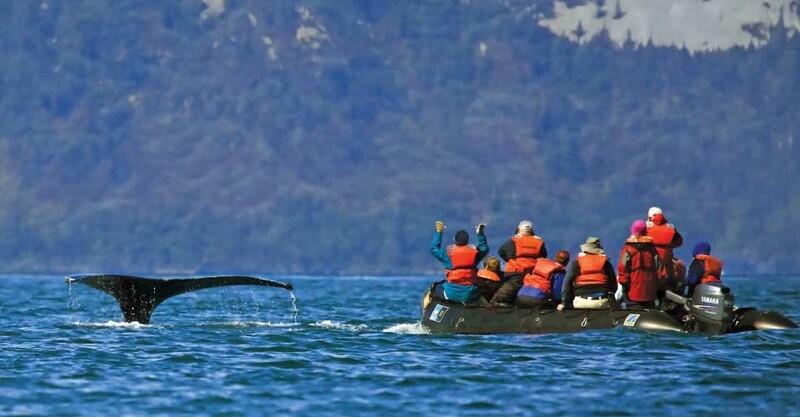 Forays by kayak and expedition landing craft in protected waters offer exhilarating wildlife encounters. Learn, too, about Alaska’s rich Native American heritage. We’re proud to offer a worldwide slate of Adventure Cruises through our partner Lindblad Expeditions. Nat Hab joined forces with Lindblad in 2016 to expand our mutual collection of nature adventures. Founded in 1958 by Lars-Eric Lindblad, the company pioneered eco-conscious expeditions for “citizen explorers" and today is the world leader in conservation-focused small-ship cruises. Our Adventure Specialists are intimately familiar with the ships and itineraries and are on call to answer any questions you might have. 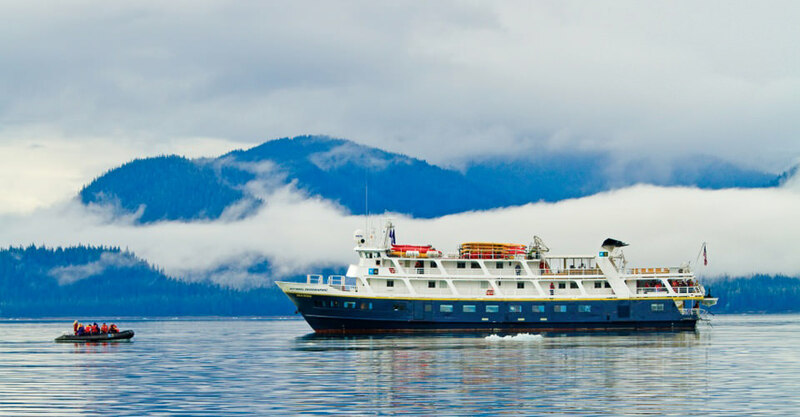 Lindblad's expedition ships have been cruising Alaskan waters for more than three decades, exploring and revealing wild places that are accessible only to small, nimble ships like these. The captain and crew are experts in locating whales and other marine life and positioning the ship for the best viewing experiences. It's easy to change course to capitalize on a sighting, or observe wildlife up close from Zodiacs when conditions permit. A small ship with fewer passengers makes all the difference when it comes to experiencing Alaska’s coastal wilderness in an intimate manner. The ship's naturalist staff offers interpretive insight into the multitude of wildlife you'll encouter, from breaching whales and bald eagles to Steller sea lions and foraging brown bears. You’ll have a chance to explore marine biology, evolutionary biology, ornithology and more as you learn from a diverse slate of experts. Each voyage sails with an Expedition Leader and five veteran naturalists, ensuring a staff-to-guest ratio of 1:10, plus flexibility for personalized kayaking, hiking and exploring by expedition landing craft, all of which is expertly guided. 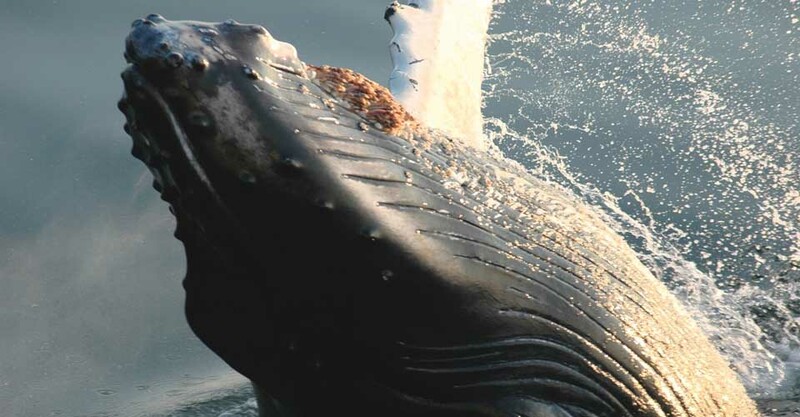 In addition, research scientists from the Lindblad-National Geographic-funded Alaska Whale Foundation come aboard to enhance guests' whale-watching experiences. Experience the World Beneath the Sea—a Lindblad Exclusive! Lindblad guests see what few have ever seen, traveling with an undersea specialist who dives from 40-80 feet with high-intensity lights and an HD video camera to capture the surprisingly colorful marine life of Southeast Alaskan waters. View this fascinating footage on plasma screens in the comfort of the lounge for a deeper sense of Alaska's natural wonders. 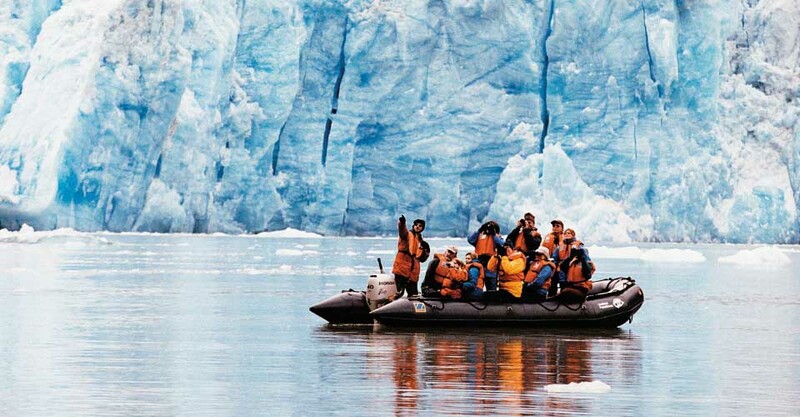 This Alaskan undersea program is exclusive to Lindblad’s expedition voyages. Lindblad's special permit from the National Park Service allows the ship to spend an entire day inside Glacier Bay National Park, the crown jewel of Southeast Alaska. A Huna Tlingit cultural interpreter joins us aboard when we sail into the park, which is Tlingit ancestral homeland. Learn the lore and legends of our natural environs, which add a fascinating cultural layer to the striking scenery. In addition, permits from the U.S. Forest Service enable the ship's naturalists to lead excursions into wild and remote areas of the Tongass National Forest, where paw prints far outnumber footprints. Single and double kayaks, plus a fleet of expedition landing craft, allow us to land in remote locales for up-close discoveries. Paddle past nesting birds and lounging sea lions, watch seals bob at eye-level off the bow, or just enjoy the silence. Shoreline cruises aboard Zodiacs are perfect for relaxed exploration with a naturalist’s narration, and the ideal platform for photography. The ship’s hydrophone lets you listen in on whales, while a video microscope reveals invisible facets of life. High-quality binoculars are always on hand for abundant wildlife sightings. A Lindblad-National Geographic certified photo instructor accompanies each expedition, joining guests for hikes on centuries-old bear trails and forest boardwalks built over bogs, and aboard expedition landing craft that float past icebergs for a closer look at glaciers. This veteran naturalist is specially trained to assist you with camera settings and the basic elements of framing, composition and lighting. You'll capture extraordinary images and go home a better, more confident photographer. 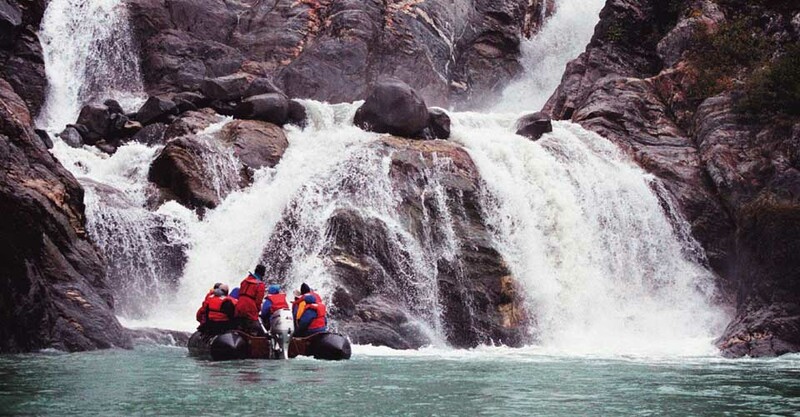 Natural Habitat Adventure is a standard-setter in eco-conscious travel. We were the world’s first 100-percent carbon-neutral travel company. And we continue to break innovative ground in adopting practices that help to protect our global environment. Because of our concern for the environment, we are pleased to partner with Lindblad Expeditions for our Adventure Cruises, a company that shares our values and commitment to the planet. Because of our environmental commitment and the outstanding quality of our adventures, World Wildlife Fund has chosen Natural Habitat Adventures as its worldwide travel partner, a designation we’re very proud of! When you book your Lindblad Expeditions cruise with us, a portion of your trip fee supports WWF. 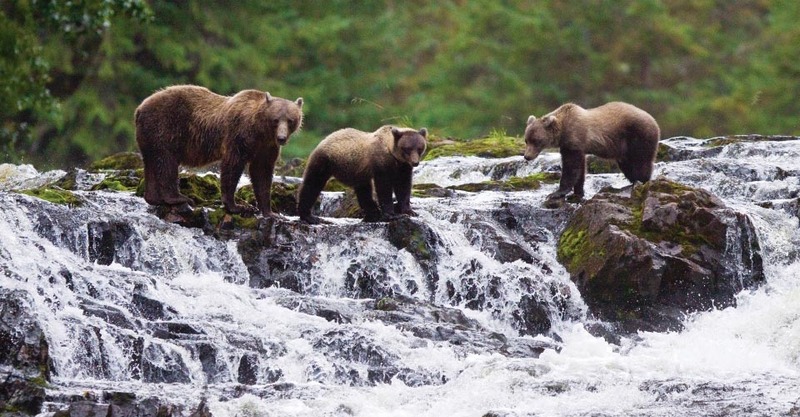 See more of wild Alaska on an intimate small-group adventure to Alaska's best wildlife spots, including the brown bears of Brooks Falls, Kenai Fjords and the backcountry wilderness of Denali National Park. 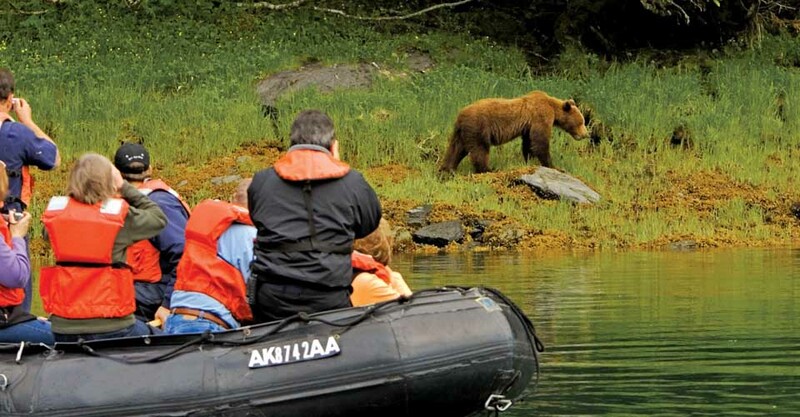 An exclusive small-ship adventure to view the world's largest coastal grizzlies up close! 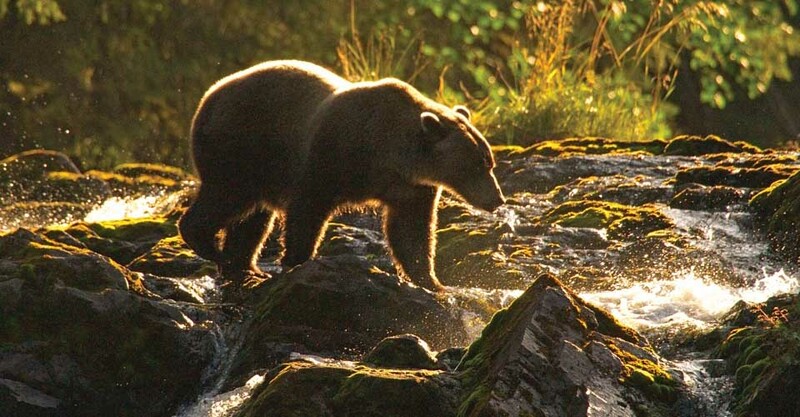 Walk the shores as enormous brown bears dig for clams, forage for grasses and pursue salmon in tidal pools. 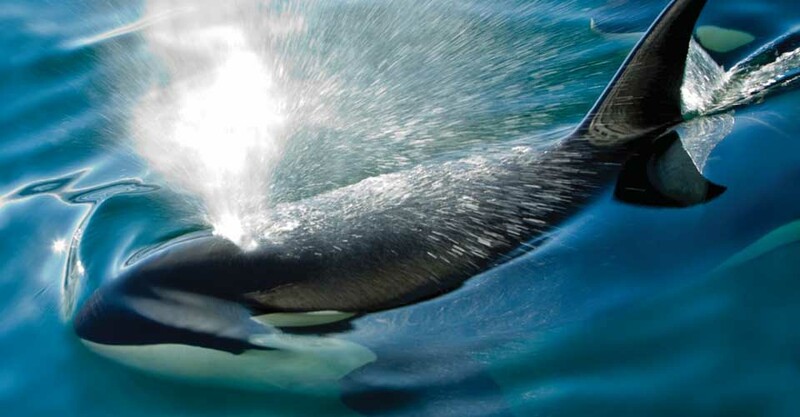 Discover the maze of islands, bays and fjords that comprise the Salish Sea, the world's best place to see orcas—and look for seals, otters, bald eagles and more! Discover British Columbia at its wildest, in search of the elusive white Spirit Bear in the remote valleys of western Canada's Coast Range. Offshore, scout for humpback whales and orcas in emerald fjords. Fill out the form below to receive additional information about our Exploring Alaska's Coastal Wilderness. Hi Nat Hab, I’m interested in your Exploring Alaska's Coastal Wilderness. Can you please contact me with more information?